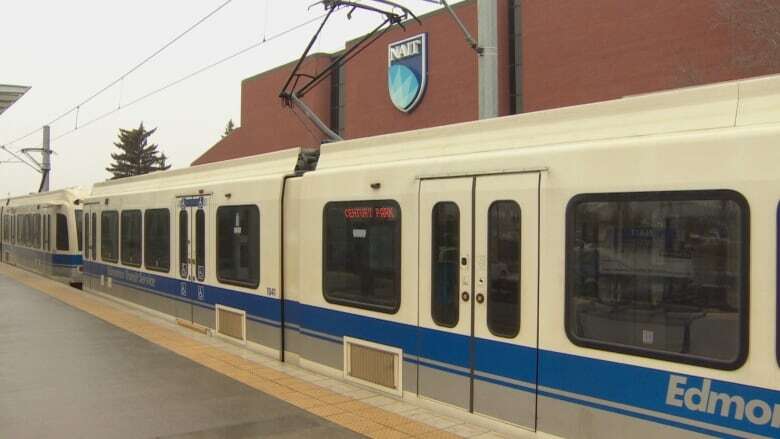 Transit users relying on the Metro Line LRT to get to NAIT will need to find an alternative way of getting there this spring and summer while the city works on the Capital Line. Transit users relying on the Metro Line LRT to get to NAIT will need to find an alternative way of getting there this spring and summer. Between April 28 and Aug. 30, the Metro Line will end at the Kingsway/Royal Alex Station instead of going all the way to the NAIT main campus. The city is waiting until winter-term exams are over at the end of April to start the construction work, which will involve suspending service to NAIT. Transit users needing to get to NAIT are being told to take a No. 8 or No. 9 bus. 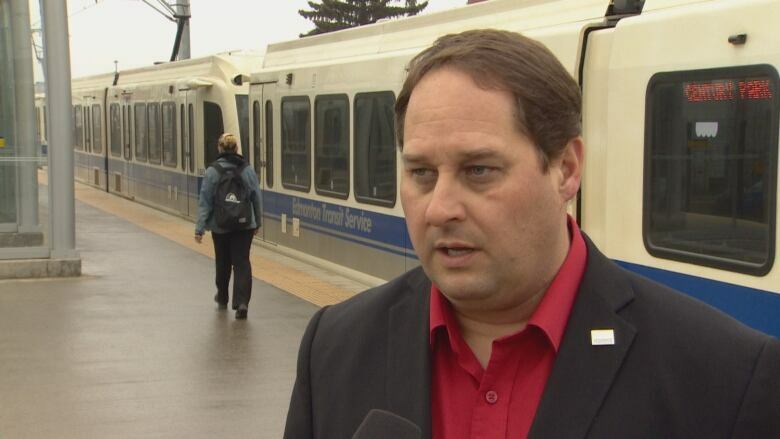 Suspending LRT service will leave students and staff in the lurch, said Jason Roth, the advocacy director for NAIT's student association. "Those students count too," Roth said Tuesday. "It's not like everybody just takes the summer off — a lot of us are here year-round." Jason Roth, advocacy director for NAIT students' association, said the service cut will affect thousands of students and staff during the spring. NAIT has about 10,000 to 12,000 full-time students during the fall and winter semesters, with about 10,000 apprentices throughout the year. Roth noted that about 6,000 students go to NAIT during the spring, along with staff and trade students, who are there most of the year. "I wouldn't be surprised if students are angry about that, and I wouldn't blame them either." The city announced the change in service Monday. Crews will work on the Capital Line at the 66th Street tunnel between Belvedere and Coliseum, which includes shutting down one set of tracks. That will slow trains down because they will have to share one track. Instead of running every 10 minutes between Churchill Station and the last stop of each line — Clareview on the Capital Line and Kingsway on the Metro Line — they will run every 12 minutes during the day. To reach that frequency, the city will increase capacity by running five-car trains on both lines. Currently, the Metro Line runs three-car trains. The LRT will not be able to stop at NAIT because that station, considered a temporary platform, cannot accommodate five cars. Trains will run every six minutes between Century Park and Churchill during peak hours, up from the current five-minute frequency. Craig McKeown, director of engineering and maintenance with Edmonton Transit Service, said it's "necessary revitalization work." McKeown explained that sometimes train conductors are given a "slow order" to slow down in certain places because of the state of the tracks. The upgrades will change that, he said. "They'll see a faster service on a day-to-day basis plus a better look and feel at certain stations." 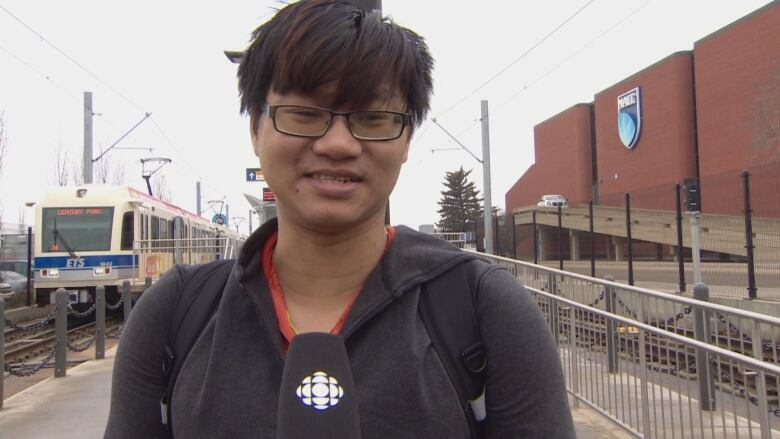 NAIT student Khanh Nguyen told CBC News he was thinking of taking classes in the summer to lighten his load during the rest of the year. "With the LRT down, it would be enough of a disturbance to say 'I don't want to come during the summer,' " Nguyen said. "Buses are not reliable." Roth said it takes 15 to 20 minutes to walk to NAIT from Kingsway-Royal Alex Station. He said NAIT is asking the city to co-ordinate the No. 8 and No. 9 buses at Kingsway with the LRT schedule so students and staff don't have to wait that long to transfer from the train. He acknowledged that in the past, the city has done a good job at accommodating the school with replacement buses when needed. "I feel like they will come through for us." News of the suspended service comes after years of signalling issues on the Metro Line, which has been at the root of service delays since the line opened in 2015. "It seems like we just got it working properly and now we're not going to get it for four months," Roth said. "NAIT, short end of the stick again." The Metro Line has been delayed on and off while the city and Thales, the company behind the signalling system, deal with software issues. "It is kind of a running joke at this point, that you know, that LRT just never seems to be getting on track, so to speak," Roth said. Other LRT work over the spring and summer will include upgrading lighting and ceiling tiles at Central Station. Between April 6 and April 27, the city will close the platform. Passengers will use the Bay Enterprise Square or Churchill stations. Starting in May, the city will upgrade warning tiles on platforms at five outdoor LRT stations: Clareview, Kingsway/Royal Alex, MacEwan, Health Sciences Centre and Southgate. McKeown said most of the warning tile work will be done after service hours.